Who has a blue line angel, and how are they? I'm looking at buying a blue line angel and am looking for information. I did some resource here on reef central but there's not much info on the health and care. I'm wanting to know how hard are these guys to keep. 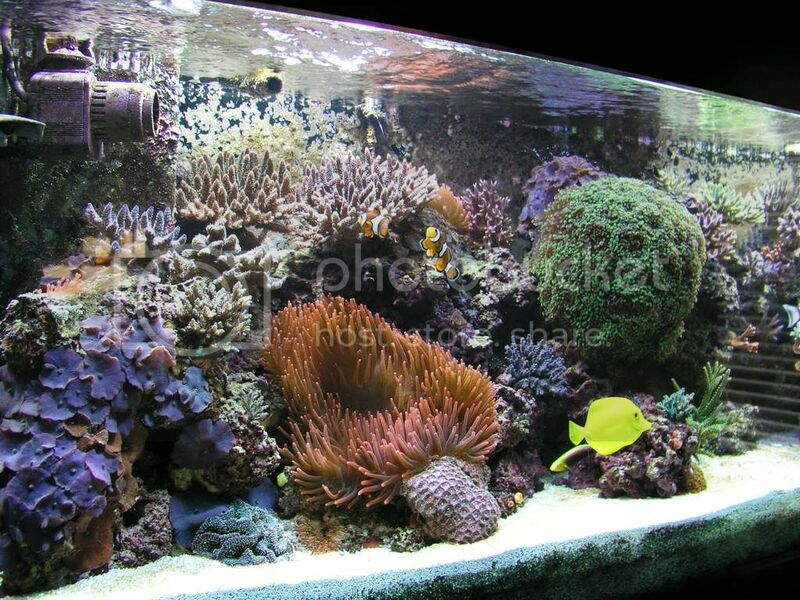 (I'm not a beginner) I'm wanting to know if anyone has one in a reef. I have a majestic and a golden angel now, in a full mixed reef. I was thinking about buying a black banded angel, but after resourcing, I've changed my mine. They look to be too hard to get eating and I don't want to take the risk with a $600 fish. I don't have one now but I've kept on for many years when I was back in CA. I loved it and back then (close to 20 yrs ago) they weren't that expensive, annularis were more money. Mine was in a mixed tank with live rock and non-photosynthetic inverts when I got him, and it was about half way through its change to adult when I moved and returned it to the store, It had finished the change and grown at least 3 inches. The availability of foods was a lot less back then but I don't recall any feeding issues. I can't beleave only one person on here has had a blue line angel. Then again when I do a search on here there's no info. Well anyway I ordered one, and I guess I'll have something to share with everyone here on RC. For a nice, healthy Blue Line you will definantly pay $350--$600. They are hardy if you get one that is eating and disease free, however he will get stressed in a 110 gallon. Are you looking to upgrade? It will be all right for a short time, but they like their space just like any other large angel. Liveaquaria had one back in November for I think $400, and it was stunning. It went in like the first 15 minutes. I opted for my Maldives Emperor instead. Good Luck with your purchase, make sure to post pics. I had one but it never ate and died a month later. It was 8". I tried clams, mysis, live brine, black worms, pellets, scallop and even live corals. Most of the Bluelines now are coming from Vietnam. I know because I know wholesaler who gets it there regularly. If you are going to get one try to get a smaller one which might acclimate easier. If Bluelines are coming out of Vietnam, that might be an issue as they are known for questionable collecting techniques (ie. Cyanide usage). If that is still the case, mortality rates will be somewhat higher in those specimens sent from that area. It is very difficult to find smaller specimens(under 3.5-4" size), and if you are lucky enough to find such a specimen, you will pay $$$. I had been looking for about a year. The Blueline Angelfish is one of my favorite fish. I have a 4"er in my 210. It has been a model citizen since my tank is setup for angels. I got if from JustRareFish.com when it was about 3.5". Tom's livestock is top notch. All the fish I have bought from here came in health and eating within the first full day. I got my Chrysurus angel from him when it was a juvi, and I just got a 4" Goldflake from him today. If I was to buy a fish without a stay alive garuantee online it would be from JustRareFish. If you want to have the stay alive policy then checkout LiveAquaria.com. They have Bluelines from time to time. My Blueline eats pellets and Seaweed Select Green algea sheets. It does not touch any mysis, krill, or scallops in my homemade foods. As far as coral inhabitants, I only keep leathers and mushrooms since angels ignore them. Here are a couple pics of mine. The pics are not too clear since I had just reaquascaped the tank and the water was cloudy. Here is a pic of the tank with the Blueline Angelfish on the right upper side. Last edited by Tremelle; 01/12/2008 at 01:02 AM.